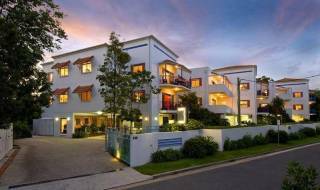 2 Bedroom Apartment fully self contained, superbly furnished and designed for cool comfort in the sub-tropical Noosa Climate. Spacious bedrooms with 1 Queen Bed & 2 singles suitable for up to 4 people. Forget the corporate hotel and motel chains we provide fantastic Noosa Accommodation in a family operated resort complex that is perfectly located in James Street Noosaville, just 50 metres from the pristine Noosa River and Sandy Pelican Beach where you can swim, boat, fish, sail, ski, canoe, laze on the beach or catch the ferry to famous Hastings Street and the patrolled surf beach. From your noosa accommodation you can take a leisurely stroll down the street for sidewalk cafes, award winning restaurants and shopping. 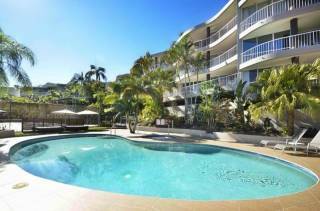 From the moment you step into Pelican Beach Resort Noosa you will appreciate your choice for noosa accommodation. 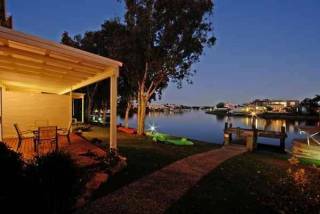 All of our guests appreciate our location so close to the Noosa River and convenience to a host of fun and exciting water activities, fine dining experiences and proximity to Noosa Heads and Noosa Main Beach. 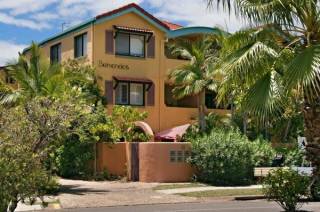 To make your stay enjoyable just visit us at reception, we offer a free booking service for the the many activities, such as Noosa Offshore Fishing, Noosa Ferry Cruises, Noosa Everglades Cruises, Noosa Hinterland Tours, Fraser Island Day Trips, Whale Watching (seasonal), Australia Zoo, Under Water World and many more. 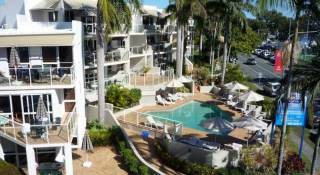 Discover for yourself why Pelican Beach Resort Noosa is one of the most popular and sought after Noosa Destinations for Noosa Accommodation in Noosaville. All of our units are tastefully furnished, Air conditioned, spacious, fully self contained, 2 bedroom, town houses and balconied villas, with modern full kitchens designed for cool comfort in Noosa’s sun-drenched tropical climate. A loft in the town houses and some villas allows sleeping room for up to 6 people. 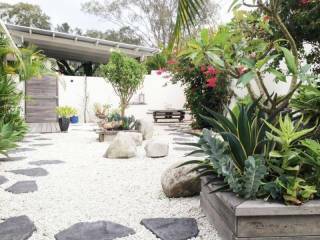 With so many different noosa accommodation properties, hotels, motels and resorts to choose from we pride ourselves on the presentation of our complex, the value for money, service second to none, and the the convenience to all that Noosa has to offer as a holiday destination. We have many guests who continue to choose their accommodation and holiday at our complex year after year. Book your holiday now and you will see why. LOW Season - reservations cancelled 14 days or more prior to the planned date of arrival will be entitled to a full rebate of deposit less an administration fee of $50.00. If the booking is cancelled less than 14 days to the planned date there will be no refund of deposit. MID/HIGH Season: - reservations cancelled 28 days or more prior to the planned date of arrival will be entitled to a full rebate of deposit less an administration fee of $50.00. If the booking is cancelled less than 28 days prior to the planned arrival date there will be no refund of deposit. Guests who have a confirmed reservation and fail to arrive (NO SHOW) will be responsible for the full confirmed rate. If arriving after, or departing before the confirmed dates, the guest will be responsible for the original "Total Accommodation Charge". Please read these conditions carefully as each person staying at Pelican Beach Resort , and their guests, acknowledges and agrees to these conditions. These conditions are listed as a guide to enjoying Pelican Beach Resort, and avoiding disturbance for other guests. 1. Accommodation charges must be paid by credit card, bank cheque or cash before the occupancy commences unless other arrangements have been made with Management. 2. Occupancy commences and finishes on the dates shown on the guest registration form unless additional nights have been arranged with Management prior to the scheduled departure date. 3. The guest will be liable for payment of any charges incurred by any guest together with replacements and necessary costs for any damage or loss to the apartment and its contents or the Body Corporate property caused by any guest. 4. The apartment must not be used for any illegal activities. 5. The number of people using the apartment must coincide with the numbers on the guest registration form. 6. Guest's invitee's can be permitted to use the complex facilities subject to approval from Management. 7. No animals or pets are permitted onto the complex. 8. Neither the Body Corporate, Manager or apartment owner are liable for any damage, injury or loss of property which a guest may sustain while on the complex. 9. The apartment must be vacated if after receiving a warning, any guest fails to comply with the managers requests. 10. The Manager may inspect the apartment at any time provided reasonable notice is provided, and at any time without notice if the Manager is of the opinion that there has been a serious breach of these conditions. 11. The guest authorises the Manager to charge to their credit card for any loss, damage or monetary contribution for which the guest is liable under this document. 12. If the occupancy ends or is terminated, the guest must immediately vacate the apartment. 1. Please do not create noise which is likely to interfere with the peaceful enjoyment on the environment by another. - Includes volume of radios, televisions and other musical instruments is to be kept at a level so as not to be audible to any other resident between the hours of 9.00 pm and 7.00 am. 2. Occupiers and their invitees leaving or returning to apartments either late at night or early morning must do so quietly. 3. Vehicles must be parked in the correctly numbered parking space or as notified by management. Car spaces are to be kept clean and tidy. 4. No person shall deposit litter or the like on any part of the common property. 5. For your safety and the safety of your property all doors and windows are to be securely locked any time the premises are left unattended. 6. No clothing, bedding or other articles shall be hung so as to be visible from the outside of the building. 7. Parents are to be responsible for children's behaviour at all times. 8. Occupiers will be responsible for the behaviour or their invitees..
9. The pool area is open from 7.00am to 9.30pm. Children under the age of 12 must be accompanied by an adult. 10. Invitee's are not permitted in the pool unless accompanied by an occupier. Glassware is not permitted in the pool area. 11. No person is to cause a nuisance to another using the facilities. 12. No person is permitted to cause damage to any common property. 13. Should any occupier having been requested by Management to comply with behaviour and noise standards not do so, the Management reserves the right to immediately terminate the tenancy.